METS Ignited is a not-for-profit organisation that aims to enhance the mining equipment, technology and services (METS) activities in Australia. The entity works closely with industry professionals to enhance collaboration, influence industry initiatives to improve exports, and apply schemes to accelerate the commercialisation of innovation. The Australian Government’s Industry Growth Centres Initiative is an industry-led approach to drive innovation, productivity and competitiveness by focusing on areas of competitive strength and strategic priority. This will help the country transition into smart, high-value and export-focused industries. The initiative enables national action on a wide range of key issues, including collaboration, commercialisation, international engagement, skills and regulation reorganisation. It also aims to promote excellence and create an economy to ensure Australia’s ongoing success. Led by a strategic board of industry experts, Industry Growth Centres were established to deliver the initiative in six key industry sectors, namely advanced manufacturing, cybersecurity, energy, METS, pharmaceuticals, food and agribusiness. Each growth centre has set a long-term strategy for its sector, outlined in their sector competiveness plans (SCPs). METS Ignited has agreements that focus on leveraging knowledge, partnering on strategic initiatives, and harnessing collective networks to drive collaboration across the METS, mining, research and government sectors. The organisation collaborates with the Queensland Department of State Development, CRC Ore, Austmine, CSIRO, the Australian Mines and Metals Association (AMMA), Consulting Company VCI, and CORE Resources Hub among others, to promote industrial development. METS Ignited is looking to invest in collaborative, industry-led projects with clear commercialisation applications that will benefit the METS and mining sectors, as well as develop an online portal to de-risk investment, fast-track the innovation cycle and improve industry collaboration. The Living Labs Network initiative also involved a revaluation of Australia’s test sites and sandpits. This comprised activities across the mining value chains and the different commodities and technology development such as test labs, and near-real and real-world testing environments. 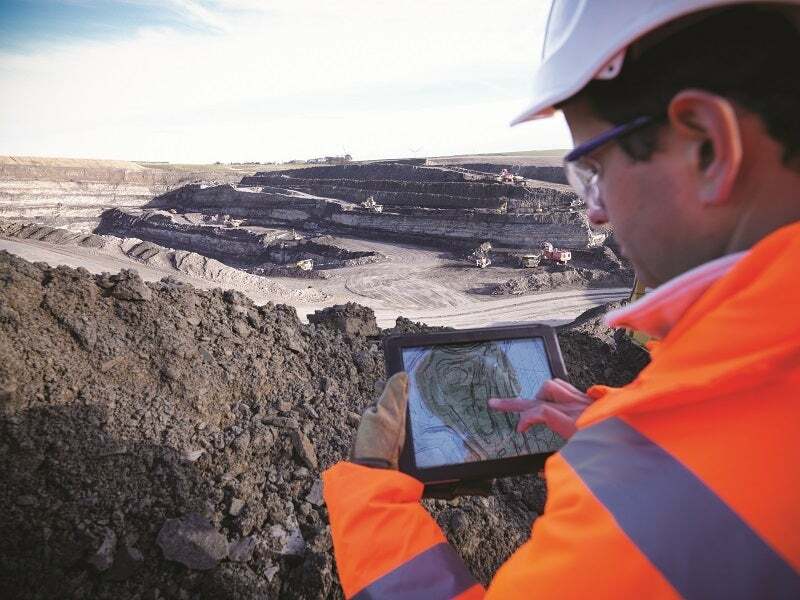 The information will enable METS companies, researchers and miners to search using specific criteria to determine which sites best suit their projects. METS Ignited and Australia’s Queensland Government are jointly running an accelerator for late-stage start-ups and small and medium-sized enterprises (SMEs) in the METS sector. Operated by KPMG, the Igniting METS Accelerator is an Australian-first and is designed to improve the competitiveness of the country’s resources sector through innovation and industry collaboration. To help the industry to prepare its workforce and enhance capacity to support Australia’s mining sector, METS Ignited has partnered with Minerals Council of Australia to deliver the Future Minerals Workforce Program. This joint initiative will assist senior managers with arranging workforce strategies in response to an evolving organisational landscape affected by Industry 4.0. A series of masterclasses in digital disruption, key capital enablers, and winning more tenders is currently underway. In 2016, METS Ignited laid out its ten-year Sector Competitiveness Plan (SCP) that outlines a long-term strategy to strengthen the Australian METS sector. All members of the METS, mining, research and government sectors are invited to become METS Ignited Network Associates. The application process for the third tranche of the METS Ignited Collaborative Project Fund opens today, with $6m in project funding to be awarded to METS businesses fostering collaboration and innovation. Australia’s mining equipment, technology and services (METS) sector is globally connected and financially robust. Contributing $86bn to the Australian economy and supporting half a million jobs, the METS sector plays a significant role in the nation’s prosperity. International exchange programme METStech Passport has been widely celebrated at EXPOMIN in Chile, with METS Ignited and partners receiving an award for the programme. The anticipated impact of expected lithium supply growth is forecast to be up to $2tn, according to the report 'A Lithium Industry in Australia' released this week. METS Ignited is proud to sponsor the IMARC, 4th International Mining and Resources Conference in Melbourne in 2017. Six of the eight late-stage startups and small-to-medium enterprise selected for the Igniting METS Accelerator hail from regional Queensland, Australia.